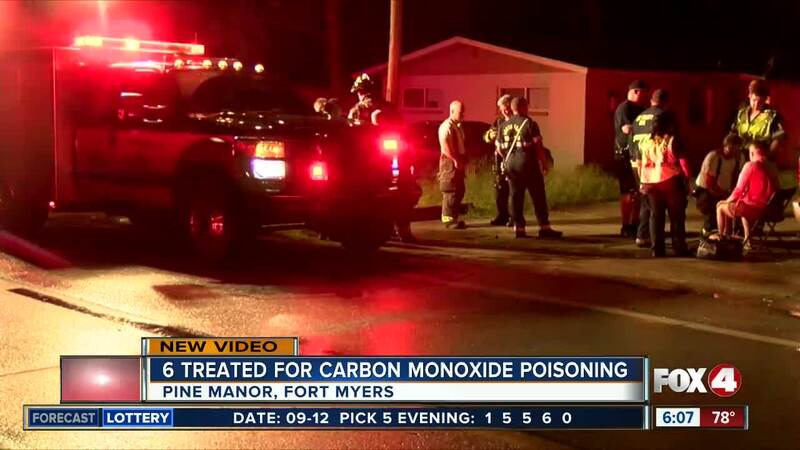 Six people are treated for carbon monoxide poisoning in the Pine Manor neighborhood of Fort Myers. Five of them were rushed to the hospital. It happened on 8th Avenue Wednesday evening. Crews on the scene tell 4 in Your Corner tell 4 In Your Corner it started with a generator. The generator was used to power an air conditioner. Firefighters say had they arrived 30 minutes later, the situation could've been much worse.